In my unending love of all things related to The Swell Season I am currently rockin Marketa Irglova’s solo record on perpetual repeat. Anar is 12 simply laid tracks of beautiful (and at times haunting) melodies, a quiet, organic vibe to the overall sound, and other vague descriptions you can string together. I know Glen Hansard ends up being the dominant voice of The Swell Season while Marketa really solidifies every song she supports. But seriously, she sounds so good up front on these tunes. I only deeply cared for a few of the Swell Season tunes she sang lead on but I feel like this album really does her justice. If you’re in the mood for some lovely, moody, piano-based tunes – oh boy, here you go! This might be staying in my rotation for quite a while. 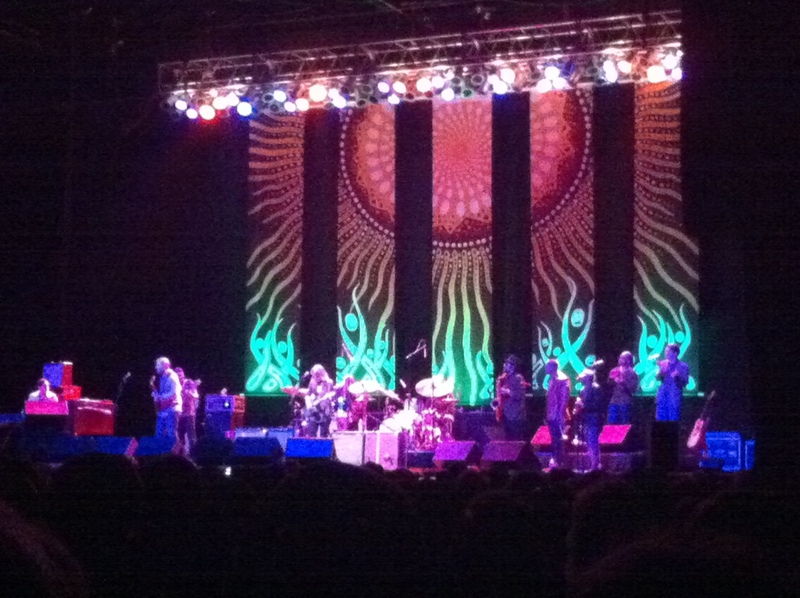 I was pretty excited to catch Tedeschi Trucks Band tonight. I first experienced the band by hearing their latest album on Spotify several months ago. Holy crap! Fantastic stuff. I was sold. So, when I learned they were coming to town I was in. I was pretty excited. I was about to park at the venue tonight only to first see a sign outside the theater right across the street that informed me The Civil Wars were playing a sold out show there tonight as well. I had no idea. I would’ve loved to see The Civil Wars. I’m a big fan. A huge fan. But alas, it was too late. With my mouth agape I accepted my fate and continued on to previously scheduled non-Civil Wars show. The opener had already started by the time I walked in. I don’t know who the band was but I was too distracted by the beautiful songs and magical harmonies that I was missing across the street that I couldn’t really enjoy their set. I finally sucked it up when Tedeschi Trucks came out. And wow! They certainly made me forget my worries for the entire set! Great songs, great musicianship. I think the word that summed it all up best for me was “compelling.” They’re an incredibly compelling band. Derek Trucks can play. Man, can he PLAY! He had this raw but polished, singing yet aggressive guitar tone. It was gorgeous. And he’s just a beast with that slide, too! And Susan Tedeschi – what a voice! Talk about a compelling voice. The band would have these long moments of jamming and it’d be great and all but Susan would come back in with the vocals and just take everything to a whole new level. Killer. And let’s not kid ourselves, that band can play. Each member of the 11 piece band is throwing down some serious goodness. They’re quite the impressive group, I must say. Here’s a blurry picture of the band.